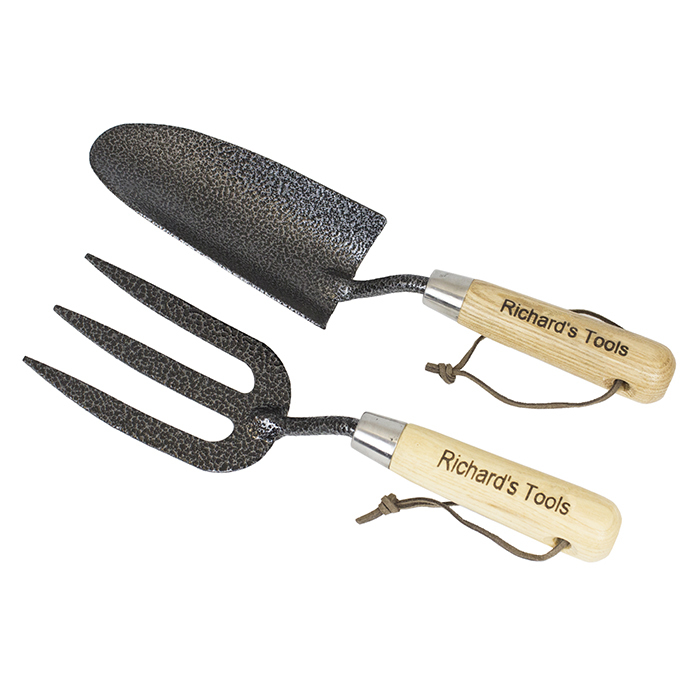 Personalise this Fork & Trowel Set with a name or message up to 20 characters. The fork and trowel ends are made from tough quality carbon steel with an attractive mottled effect. 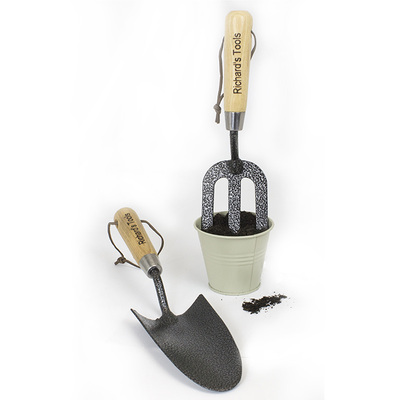 The handles are made from ash timber with leather wrist straps included.